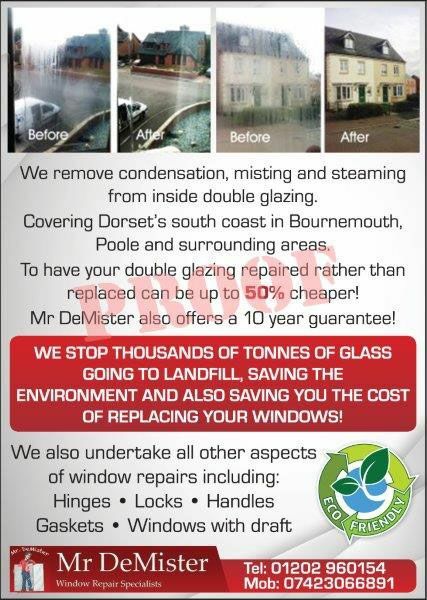 Mr Demister is a double glazing repair specialist based in Poole. We offer a wide range of repairs to windows, doors and conservatories, we change hinges, handles and locks. We also replace double glazed sealed units but we can also often repair them at up to half the cost and this is also far more environmentally friendly If you are interested in any of our of services contact us.